The Liu Group celebrates the new year at Cheeky Monkey. Pictures have been posted in the Gallery. First-year students Sierra and Kevin, and undergraduate students Lauren and Ruoqing join the Liu Research Group. Welcome! The "Total Synthesis Presentations by Liu Group Members" link under Publications has been updated with new entries. 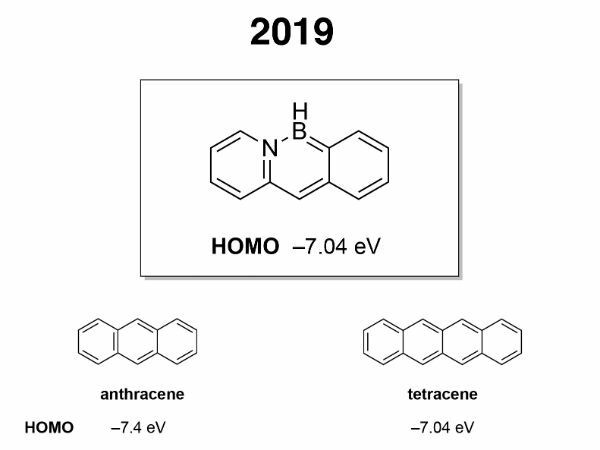 Our collaborative work with the Bettinger group on the superelectrophilic character of 1,2-azaborine has been accepted by Angew. Chem. Int. Ed. Congrats! The Liu group went for its annual group trip to Scusset Beach on August 7, 2018. Pictures have now been posted in the Gallery. 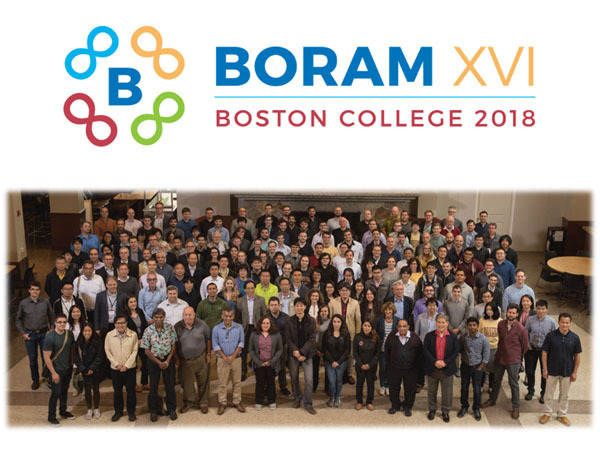 The Boron in the Americas XVI Conference at Boston College has concluded! Thank you all for making this event a success! Liu receives a Boron in the Americas Award in recognition for Distinguished Achievement in Boron Chemistry. Congrats! • Jon Deegan is a recepient of the Donald J. White Teaching Excellence Awards. Congrats! • John Hoskin is a recepient of the 2018 Kozarich Summer Research Fellowships. Congrats! First-year students Jeremy, Jonathan, and Ziyong join the Liu Research Group. Welcome! Nicole defends her Master's thesis and will start her appointment at Gilead Sciences in September. Congrats! The Liu group went for its annual group trip to Georges Island on August 9, 2017. Pictures have now been posted in the Gallery. Jacob defends his thesis and will start his postdoctoral appointment at Northwestern this Summer. Congrats! Dr. Raimon Puig from the University of Ramon Llull (Ana Belen Cuenca), Barcelona, Spain joins the Liu Group as a visiting scholar. Welcome! Jacob's communication on the synthesis and characterization of the first 1,2-BN-tetracene derivative in collaboration with Prof. Anna Chrostowska has been accepted by Organometallics as part of a special issue dedicated to "tailoring the optoelectronic properties of organometallic compounds with main group elements". Congrats! Hyelee defends her thesis and will start her appointment at Merck this Summer. Congrats! The Liu Group celebrates the new year at Jillian's. Pictures have been posted in the Gallery. 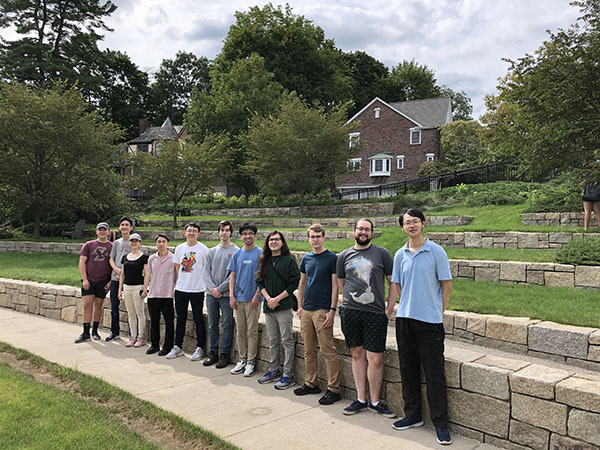 First-year students Ricky and Xinyu join the Liu Research Group. Welcome! Tjark Harders from Tübingen University joins the Liu lab as a visiting scholar. Welcome! The Liu group went for its annual group trip to Newport, RI on August 24, 2016. Pictures have now been posted in the Gallery. Hyelee has been selected as a BC Chemistry Graduate Fellow. Congrats! Wei Luo (a Liu Group alumnus) at Wuhan University has been promoted to a Full Professor of Chemistry. Congrats! Xuguang's communication on a modular synthesis of monocyclic 1,4-azaborines has been accepted by Angew. Chem. Int. Ed. Congrats! Dr. Kiran Sagar (Ph.D. with Prof. Graham Bodwell) joins the Liu Research Group as a Postdoc. Welcome! Andrew defends his thesis and will start his teaching appointment at Bucknell University this Spring term. Congrats! • Happy 2016! First-year students Julia, Mengdi, and Nicole join the Liu Research Group. Welcome! • The "Total Synthesis Presentations by Liu Group Members" link under Publications has been updated with new entries. 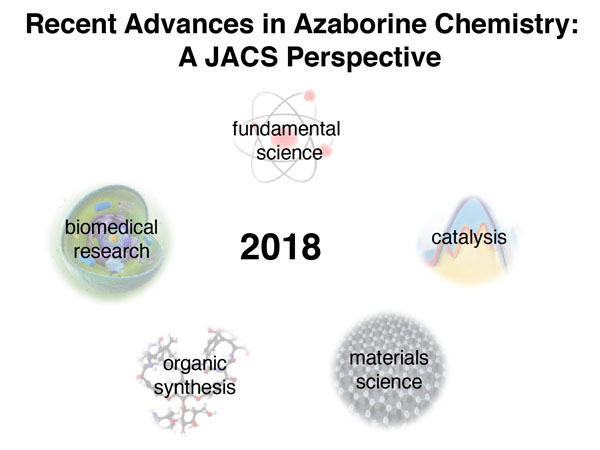 Zach and Jacob's review article entitled "Homogeneous Metal Catalysis for Conversion Between Aromatic and Saturated Compounds" has been accepted by Coord. Chem. Rev. Congrats! It will appear as part of the Special Issue on "Recent Developments in Organometallic Chemistry: 2016." 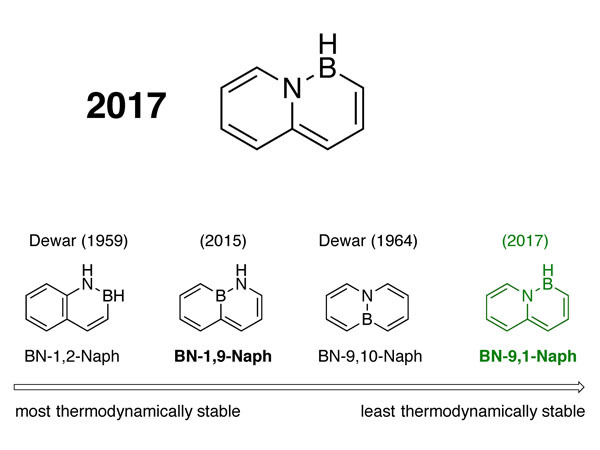 Jacob's paper on the synthesis and characterization of metal coordination complexes of BN heterocycles in collaboration with the Weller Group has been accepted by Chem. Eur. J. Congrats! Jacob received a Poster Prize for his presentation at the Boston College Graduate Student Symposium. Congrats! The Liu group went for its annual group trip to Gloucester, MA on July 8, 2015. Pictures have now been posted in the Gallery. Andrew's communication on the synthesis and characterization of BN polyparaphenylene in collaboration with the Jäkle Group been accepted by Angew. Chem. Int. Ed. Congrats! Liu has been selected to receive a Friedrich Wilhelm Bessel Research Award from the Alexander von Humboldt Foundation in Germany. Congrats! Alec defends his thesis and will start his teaching appointment at Franklin and Marshall College later this summer. Congrats! Rich's communication on Diels-Alder reactions of 1,2-azaborines has been accepted by Angew. Chem. Int. Ed. Congrats! 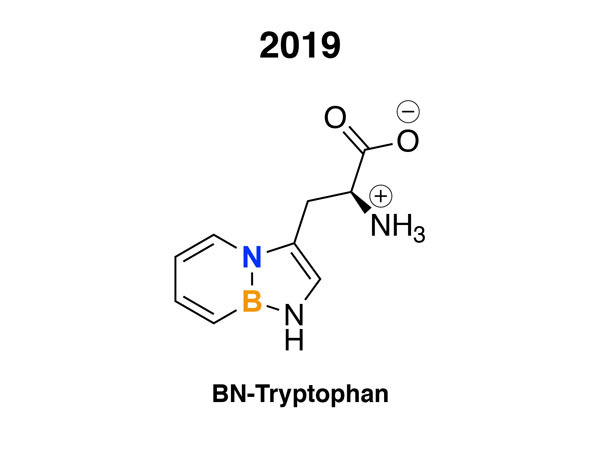 Our collaborative work on the isolation and characterization of the parent "BN benzyne" with Prof. Bettinger has been accepted by Angew. Chem. Int. Ed. Congrats! The Liu Group mourns the passing of a very talented alumnus, Gregory Harlow. May he rest in peace. The Liu Group bids farewell to Gang Chen, Xuguang Liu, and Senmiao Xu and welcomes Yuanzhe Zhang at Jillian's. Pictures have been posted in the Gallery. Yuanzhe Zhang joins the Liu Research Group as a first-year student. Welcome! Andrew has been named a John Lamattina Graduate Fellow. Congrats! Pictures from the BORAM 14 conference have been posted in the Gallery. The Liu group went for its annual group trip to Revere Beach, the first public beach in the United States. Pictures have been posted in the Gallery. Highschool student Anya Shevzov-Zebrun from Deerfield Academy joins the Liu lab for a week-long research internship. Welcome! Dr. Zhiqiang Liu from Shandong University joins the Liu lab as a postdoctoral associate. Welcome! Liu group members attended the BORAM 14 conference at Rutgers University. 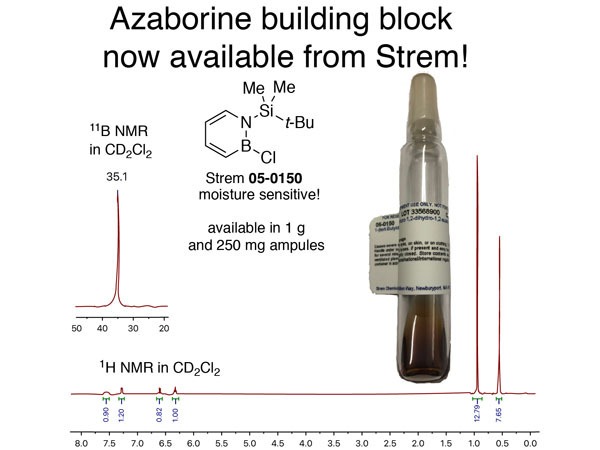 Alec's paper entitled "Rhodium-Catalyzed B–H Activation of 1,2-Azaborines: Synthesis and Characterization of BN Isosteres of Stilbenes" has been accepted by Org. Lett. Congrats! The Liu group went to the Red Sox game vs. Cincinnati Reds. Red Sox beat the Reds 4-3 in 12 innings through a walk off hit by outfielder Grady Sizemore. Pictures have been posted in the Gallery. 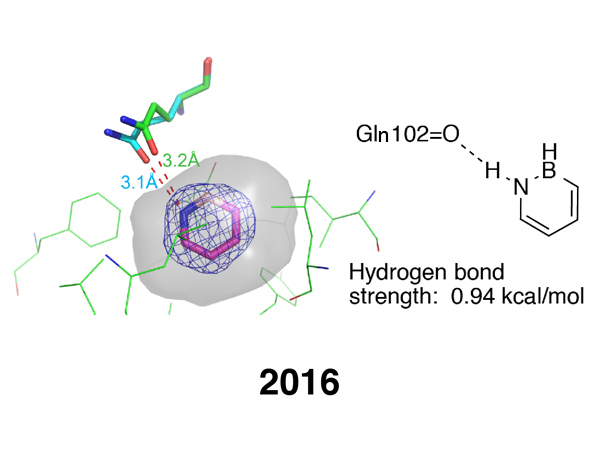 Senmiao's paper entitled "Monobenzofused 1,4-Azaborines: Synthesis, Characterization, and Discovery of a Unique Coordination Mode" has been accepted by Angew. Chem. Int. Ed. as a communication. Congrats! Highschool student Anya Shevzov-Zebrun from Deerfield Academy visits the Liu lab to learn more about life in chemistry graduate school. Pictures have been posted in the Gallery. 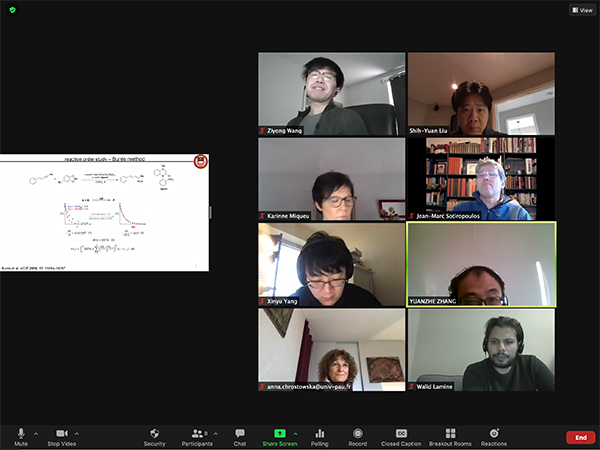 The Liu Group welcomes Randy Chou as a joint student with the Tsung Group to support our efforts in developing novel hydrogen storage materials. • Dr. Richard Burford from the Piers group joins the Liu Research Group as a postdoctoral scholar. Welcome! • Dr. Peng Zhao rejoins the Liu Group at Boston College after completing his work at the University of Oregon. Welcome back! Pictures of the Liu Lab have been posted in the Gallery. • First-year students Katie Boknevitz and Cameron McConnell join the Liu Research Group. Welcome! • Philipp Memmel joins the Liu lab as a visiting scholar from TU Clausthal, Germany. Welcome! 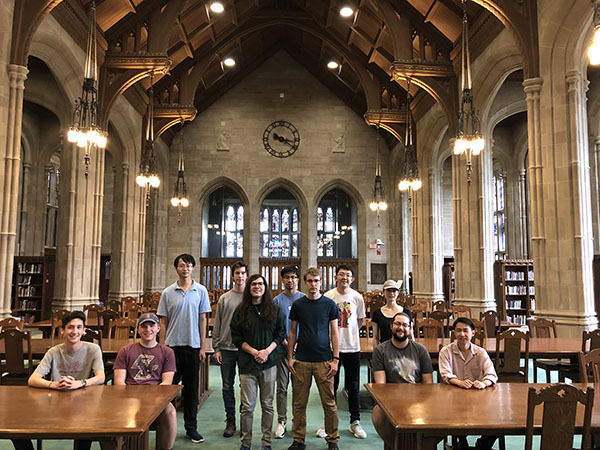 Andrew and Alec visited Deerfield Academy in an outreach effort to promote science in general and chemistry specifically among highschool students. We thank Dr. Ivory Hills for coordinating the day-long event and for the kind hospitality! The Liu group went for its inaugural group trip at Boston College to Castle Island. Pictures have been posted in the Gallery. The Liu Research Group at Boston College is now open for business. Group members set up the first experiments! Gregory's paper on the binding of diols to a BN cyclohexane derivative has been accepted by Organometallics as an invited contribution to the themed issue "Applications of Electrophilic Main Group Organometallic Molecules". Congrats! • The Liu Research Group is relocating to Boston College! • Zachary Giustra and Hyelee Lee join the Liu Group at BC. Welcome!